Located in Central Park West, this hotel is within a 15-minute walk of Central Park and Columbia University. Apollo Theater and Mount Sinai Hospital are also within 1 mi (2 km). 110 St. Cathedral Pkwy. Station is only a 2-minute walk and 103 St. Station (Central Park West) is 6 minutes. Located in Upper West Side, this historic apartment building is within a 10-minute walk of Central Park and Columbia University. Solomon R. Guggenheim Museum and Apollo Theater are also within 2 mi (3 km). 116 St. Station (Frederick Douglass Blvd.) is only a 4-minute walk and 110 St. Cathedral Pkwy. Station is 7 minutes. 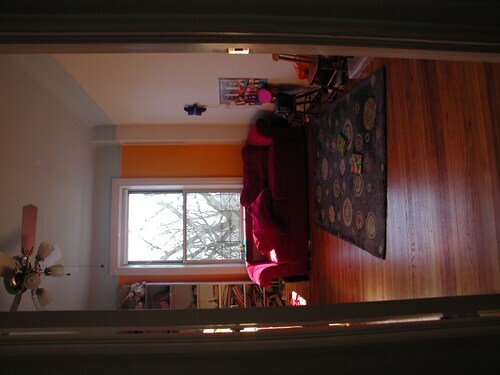 This hostel is located in New York (Upper West Side), close to Tom's Diner, Central Park, and Columbia University. Also nearby are Solomon R. Guggenheim Museum and Apollo Theater. 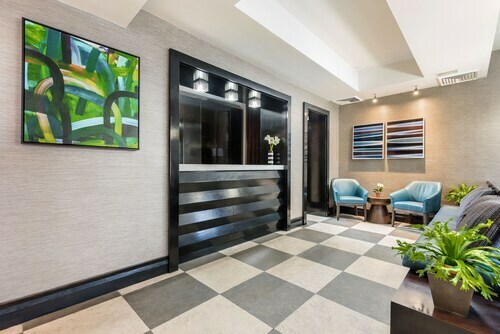 This walk-up hotel is located in New York (Upper West Side) on Broadway, near a number of attractions and surrounded by shops and restaurants. Also nearby are Solomon R. Guggenheim Museum, Apollo Theater, Columbia University, Lincoln Center and Central Park. The 103rd street subway station is located just steps away from the hotel entrance. Located in Upper West Side, this eco-friendly hostel is within a 15-minute walk of Central Park and Columbia University. Solomon R. Guggenheim Museum and Beacon Theater are also within 2 mi (3 km). 103 St. Station (Broadway) is only a 2-minute walk and 103 St. Station (Central Park West) is 7 minutes. Located in Upper Manhattan, this property is within a 10-minute walk of Columbia University and Apollo Theater. Central Park and Mount Sinai Hospital are also within 2 mi (3 km). 125 St. Station (St Nicholas Av.) 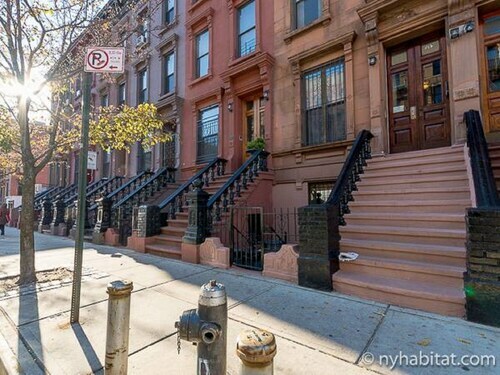 is only a 4-minute walk and 116 St. Station (Frederick Douglass Blvd.) is 7 minutes. Located in Upper Manhattan, this hotel is within 2 mi (3 km) of Central Park, Columbia University, and Solomon R. Guggenheim Museum. Mount Sinai Hospital and Apollo Theater are also within 1 mi (2 km). Central Park North - 110 St. Station is only a 2-minute walk and 116 St. Station (Malcolm X Blvd.) Station is 6 minutes. 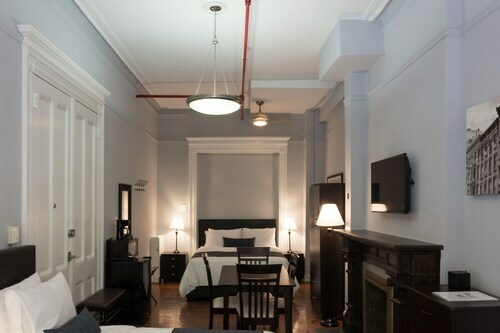 Situated in the historical district, this hotel is close to Apollo Theater, Columbia University, and Central Park. Area attractions also include Solomon R. Guggenheim Museum and Metropolitan Museum of Art. Stunning 4 Bedroom on Central Park! Ground Floor! Located in Upper West Side, this apartment building is within a 10-minute walk of Central Park and Columbia University. Apollo Theater and Mount Sinai Hospital are also within 1 mi (2 km). 110 St. Cathedral Pkwy. Station is only a 4-minute walk and 103 St. Station (Central Park West) is 8 minutes. Located in Upper Manhattan, this apartment building is within a 10-minute walk of Central Park and Columbia University. Apollo Theater and Mount Sinai Hospital are also within 1 mi (2 km). 110 St. Cathedral Pkwy. Station is only a 2-minute walk and 116 St. Station (Frederick Douglass Blvd.) is 5 minutes. 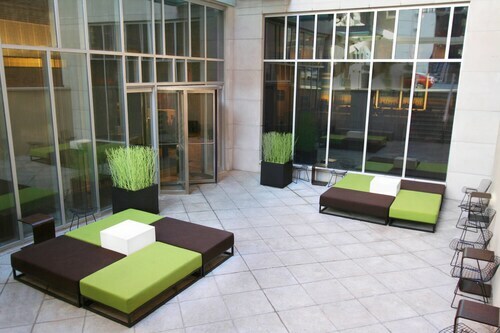 Days Hotel by Wyndham on Broadway NYC is on New York City's Upper West Side, two and a half blocks from Central Park. Ensure that you have plenty of space on your camera when you explore Columbia University, a favorite sight for visitors and a fine place to enjoy a little photography. It's just one of the reasons that many travelers spend time in the wonderful city of New York year after year. It will be a brief commute from your hotel to Columbia University if you stay at one of the 62 possibilities in the immediate vicinity. A handful of places to have a look at are the Hotel Wales, 2 miles (3 kilometers) away, The Lucerne Hotel, 2 miles (3 kilometers) away, and finally The Marmara Manhattan, just 2 miles (3 kilometers) away. 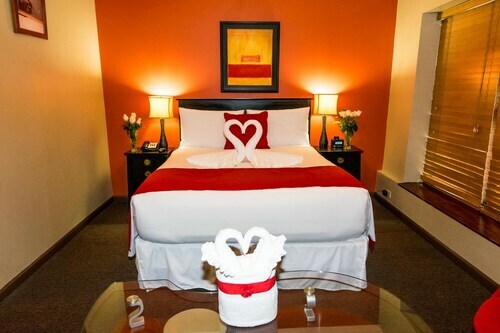 One of the main expenses of travel is the price of accommodation. Make your vacation last a bit longer by checking out the selection inexpensive accommodations close by. Consider the Harlem Bed and Breakfast, only 0.9 miles (1.4 kilometers) away, or, there's the Comfort Inn, which is 1 mile (2 kilometers) away. 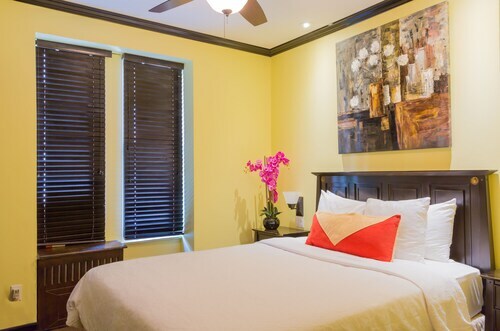 Travelers will be charmed by the classy atmosphere and faultless service at the few upmarket establishments in the area. Consider the Luxury Suites Lenox Ave , 0.8 miles (1.3 kilometers) away, or the onefinestay - Upper West Side private homes, 1 mile (2 kilometers) away. There is nothing better than roaming around somewhere new to develop your appetite. After spending some time at Columbia University, you can fuel up just five minutes away, at Up Coffee. If you want a more formal bite, make your way to Ferris Booth Commons, another close-by establishment. If you don't wish to lay your head down yet, have a refreshing glass of your favorite wine or beer at Arts and Crafts Beer Parlor Morningside Heights, another quick stroll away. Browsing the menu at Tom's Diner is guaranteed to stimulate your appetite. This great restaurant is a highly recommended spot for an evening meal. Looking to find out more about religion? Head over to Cathedral of St. John the Divine to see where many locals worship. There isn't a better place to meet the local residents than at Peace Fountain, a well-known spot to be seen at. You'll want to see Lafayette Square, a historic public square that's appreciated by both tourists and locals. To ensure that memories from the past are never erased, this area erected General Grant National Memorial so that visitors and locals could reflect on past events. When you're done exploring, jump on the metro at Harlem-125th Street Station, just 1 mile (2 kilometers) from Columbia University. How Much is a Hotel Room in Columbia University? 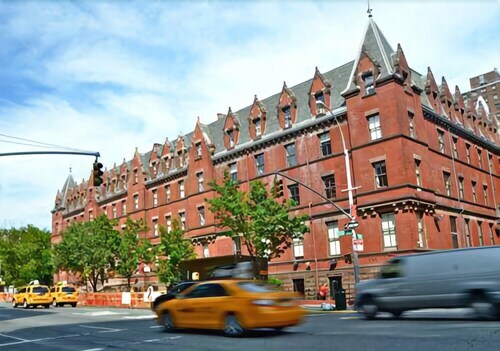 Hotels in Columbia University start at $89 per night. Prices and availability subject to change. Additional terms may apply.